It's strawberry picking season and this juicy summer bounty makes a perfect addition to so many fresh, delicious recipes. Some of our favorite food bloggers share their favorite ways to use nature's gift in June. You're going to love these scrumptious strawberry recipes! Strawberries are a summertime favorite and many families enjoy growing their own or going strawberry picking together. Once the berries come home, do you ever wonder what to do with your juicy red bounty? Food bloggers share their best strawberry tips, ideas and — what we're all looking for — recipes! 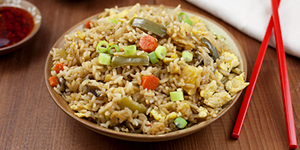 Jerry James Stone's blog is called Cooking Stoned. 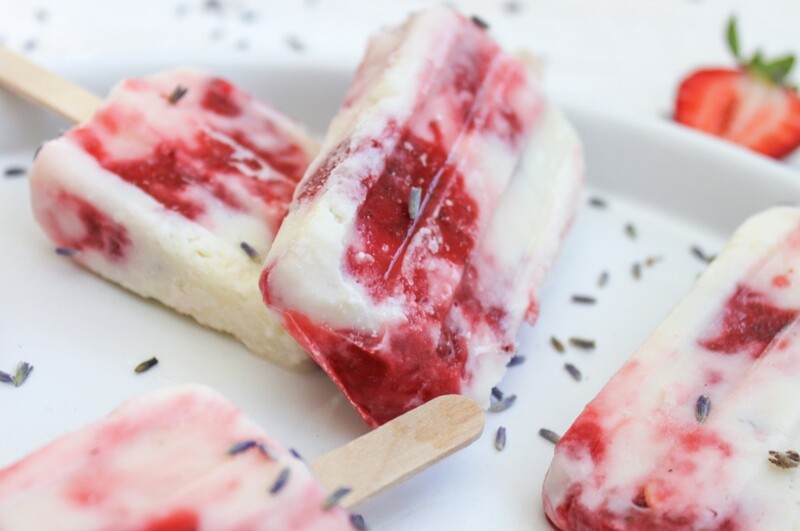 One of her favorite strawberry creations is Lavender Cream & Strawberry Popsicles! Jerry says, "Luxurious lavender cream and fresh organic strawberries make this pop taste just like summer!" Amanda Prince is the blogger behind the Sunny Vegan. She has two go-to strawberry recipes. About her Strawberry Basil Popcicles, Amanda says, "Adding fresh basil to these popsicles makes them unique and unforgettable" and about her Strawberry Margarita Sorbet, she says, "This adult-only dessert combines fresh lime juice and berries in a margarita you eat with a spoon." 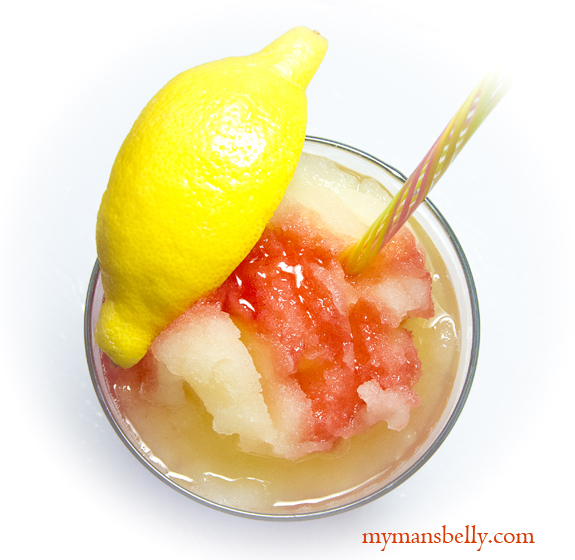 Pamela Braun blogs at My Man's Belly and touts her Adult Frozen Strawberry Lemonade. 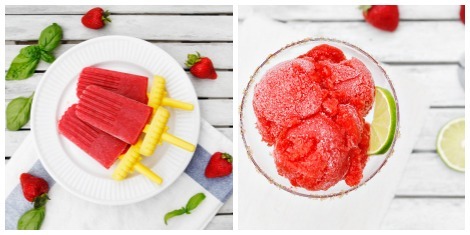 She says, "Make your own frozen strawberry lemonade instead of getting it from that fast food restaurant. Not only can you control what's in it, but you can make an adult OR a kids' version of this frozen treat!" 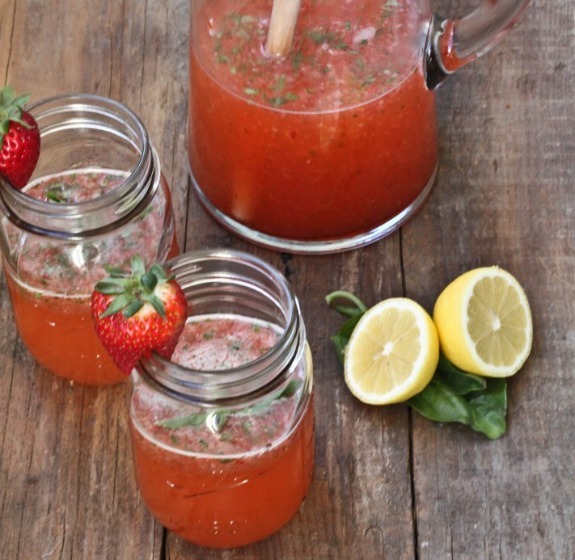 Gaby Dalkin, of What's Gaby Cooking, says that her Strawberry Basil Lemonade is a perfect summertime drink. Gaby says, "You can make it with or without alcohol depending on your crowd. It's 100 percent refreshing, and the basil is an unexpected but fun touch!" 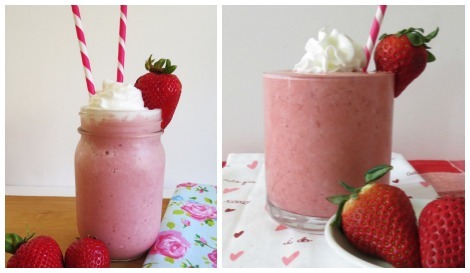 Jennifer Drummond's blog Peanut Butter and Peppers is bursting with strawberry recipes including two variations of strawberry frappes. Jennifer says, "The Strawberries and Cream Frappe is a sweet, creamy, healthy drink made with coconut milk and strawberries and the Skinny Strawberry Mocha Frappe is a thick, creamy, frozen coffee drink made with strawberries and cocoa." Abra Pappa is a holistic nutrition expert and the owner of Nutritious America. She takes a fun spin on strawberry shortcakes with her Chocolate Strawberry Shortcake, which happens to be gluten-free. 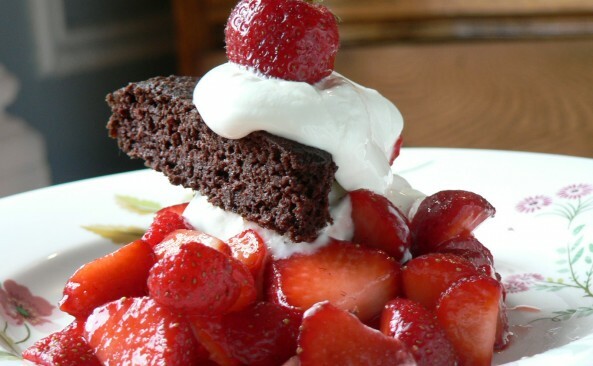 She says, "A rich dark chocolate shortcake has a faint hint of coconut from fiber rich and silky coconut flour and is topped with juicy, sweet, perfect strawberries!" Catherine McCord is the founder of Weelicious. She makes her own fruit leather which she calls Strawberr-Wee Fruit Leather. 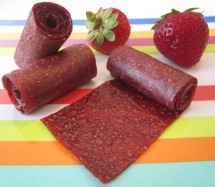 Catherine says, "My kids love fruit roll-ups and while there are some great brands out there made with just fruit, I know I can save a ton of dough by making them myself. Through trial and error, I perfected this super easy and delicious recipe, but a warning — it does take patience! My best advice is to spread the mixture as evenly as possible on the baking sheet and keep a close eye on the fruit while it's cooking." Valerie Rice is a food and gardening blogger. 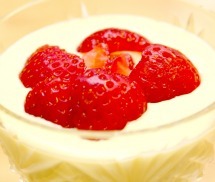 Her clever recipe is Simple Strawberries & Cream. 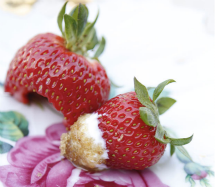 Valerie says, "Fresh strawberries and sour cream dipped in brown sugar — no measuring, no mixing bowls and no oven… no wonder it was my mom's favorite!" Shannon Madigan blogs at Madigan Made. 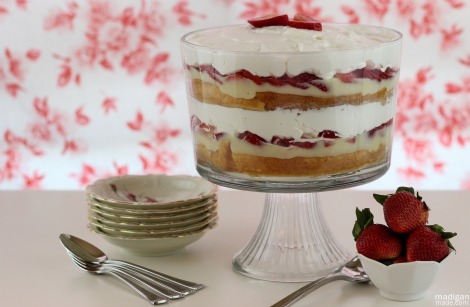 She makes an Easy Strawberry Shortcake Trifle. Shannon says, "This simple layered dessert of cake, berries and cream is easy to make and looks so pretty in a glass trifle bowl." Christina Hitchcock is the blogger behind It's a Keeper. One of her favorite strawberry recipes is Sweet Vanilla Cream with Strawberries, a copycat recipe from Ruth's Chris Steakhouse. Christina says, "This vanilla cream is perfectly sweet and silky smooth. And when topped off with fresh, juicy strawberries, it's a luxurious dessert that doesn't disappoint!" Sheri Silver writes the blog Dresses, Donuts and Dirt. 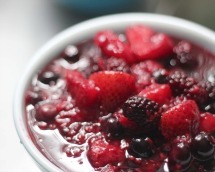 About her Mixed Berry Compote, Sheri says, "Whether on pancakes and waffles, layered in yogurt parfaits or mixed with ice cream, there's no end to how you can use this cook's secret weapon!" JL Fields blogs at JL goes Vegan. She makes a Creamy Strawberry Salad Dressing with her fresh strawberries. JL says, "This dressing is great with any greens. I especially like it drizzled over steamed asparagus or on a spinach salad. 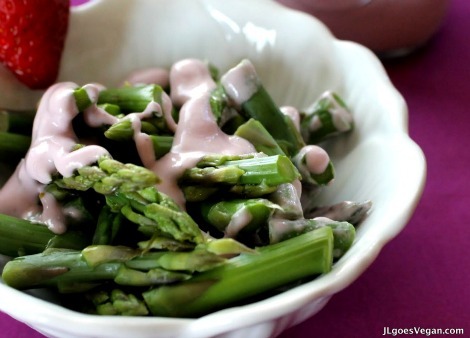 You can also use it as a sauce or dip for raw veggies or toasted pita!" Lisa and Anna are the two friends behind the blog Garnish with Lemon and the recipe Balsamic Roasted Strawberries. 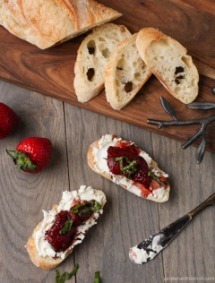 They say, "Sweet and tangy balsamic roasted strawberries make the perfect topping for crusty bread, goat cheese and slivers of fresh basil." Amie Valpone is the editor-in-chief of The Healthy Apple. 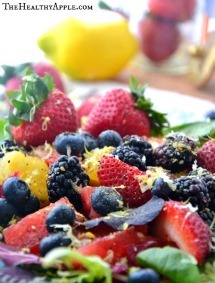 She makes a Yellow Watermelon Berry Salad with her strawberry bounty. Amie says, "Here's a simple recipe for a naturally sweet salad that's filled with strawberries and other delicious fruits!" One more — unique! — idea! Joanna Runciman writes for Actual Organics. Her surprising strawberry twist is creating a Strawberry and Oat Face Mask! 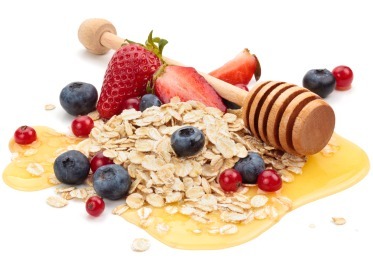 Joanna says, "Skin care needs to be edible and this strawberry and oat face mask is. Brighten your skin with ingredients from your kitchen!"